A fourth-generation Napa Valley winemaker, Rob Mondavi Jr.’s immersion in wine began more than 30 years ago. 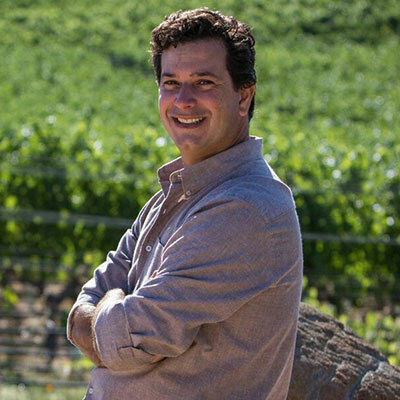 Born in 1971, and the son of Isabel and Michael Mondavi, Rob was raised in the Stag’s Leap district of Napa Valley and spent much of his childhood among the vines and barrels at Robert Mondavi Winery. Rob began early in the world of wine and worked in a variety of roles commencing in the vineyards, then the family cellar and hospitality. An entrepreneur from a young age, he started his own business hosting mountain bike tours through the Napa Valley wine country curating vineyard and winery discussion. After University, Rob worked for winemaker Karen Culler and then moved into sales with Southern Wine & Spirits, a major distributor of fine wines. He took a break from the wine industry and established the Napa Cigar Company in 1995, a Napa-based importer of premium cigars from the Dominican Republic, Nicaragua and the Canary Islands. Rob left his cigar business in 2000 to join the Robert Mondavi Corporation. He started as a Luxury Brands Sales Manager and was quickly promoted to Sales Director in 2001. After two years in sales based in Atlanta, Rob returned to Napa Valley and took on the role of Director of Marketing, spearheading the Corporation’s hospitality operations and trade marketing programs. Simultaneously, Rob also spent focused periods of time under the direction of Chief Winemaker, Geneviève Janssens and the winemaking and viticulture teams learning the craft of blending, tasting and vineyard processes. At his home in Stag’s Leap, Rob and his wife Lydia are raising their two boys on a historic parcel living in a charming English Bungalow style home built in 1913. The gardens are being restored honoring the designer John McLaren, the first superintendent of the Golden Gate Park, today the gardens include more than one acre of walking gardens, orchards, and extensive plantings of heirloom fruits and vegetables.